Investigating the international standard for high-visibility occupational products. Soon after its foundation in 1919, SATRA began working with specifications and standards for products. Over many decades, SATRA’s own test methods and standards have been used as the basis for devising British standards and, more recently, European and international standards. Through their committee work and technical panel activities, SATRA staff have contributed towards the making of both test specifications and standards relating to many types of manufactured products. The technical committees which make the standards, through their shadowing of international efforts at standardisation, are now contributing towards the development of international standards. This standards-making work is carried out in the background of all the many other activities undertaken by SATRA. Some standards that have been developed for a particular market have tended to have their basis in a standard devised for use in another market. In short, some standards mirror those found appropriate for use elsewhere. When several standards have been developed for different markets – each with slight nuances in their application – this creates difficulties for manufacturers who may have to carry out different tests or accommodate a variety of design features into articles that essentially serve the same purpose. The existence of several standards that have developed in parallel is a good indicator that there are large market demands for a product type. In the sphere of personal protective equipment (PPE), there is huge demand for high-visibility clothing. This is sold in different market areas, having been tested or made to various specifications. High-visibility standards used in different world markets are shown in box 1. Interestingly, the standards shown in box 1 are often not simply specified for products sold within national or trading block boundaries. Companies with corporate responsibilities whose employees work internationally will require that products meet particular standards, even where those products are not subject to national laws or regulations. A national standard that is specified for use in another market may be chosen because of a geographical proximity to a more influential market. Clearly, it is preferable to implement the use of an international standard for products that find global use and application. 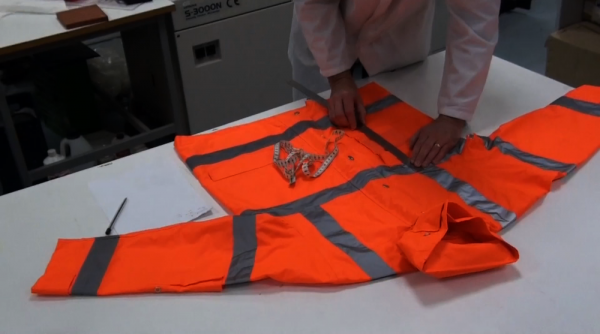 For high-visibility clothing, a new international standard has been produced. This is published by national standards bodies within Europe as EN ISO 20471:2013 – ‘High-visibility clothing – Test methods and requirements’. The EN ISO standard makes the important point that the selection of high-visibility clothing should be based on a risk assessment. Also, the standard is intended for clothing that is to be used for occupational activities – it is not intended for sport and leisure activity high-visibility garments, which are assessed under other standards. The standard is not to be applied to conventional workwear, which may have small amounts of high-visibility materials attached, and where no claim is made for these garments. These would be clothes where high-visibility materials are perhaps used for purely decorative effect, or as coloured markers, perhaps to identify workers in a factory setting. A useful definition for a standard is ‘a published document that contains a technical specification or other precise criteria, designed to be used consistently as a rule, guideline, or definition’. Inevitably, the development of an EN ISO standard means that international views have to be considered, and the specific end-uses for products must be given scrutiny. As there are many pre-existing standards for high-visibility clothing, different viewpoints exist that have had to be considered in the development of the EN ISO 20471 standard. However, taking the above definition of a standard into consideration, EN ISO 20471 (in common with existing high-visibility standards), does provide a technical specification for high-visibility clothing, defining the design and performance characteristics that are required for products. 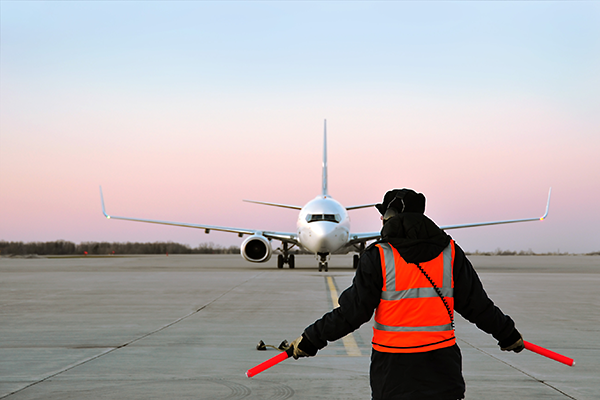 The international standard maintains the requirement that high-visibility clothing must work by combining different materials to produce a high level of contrast between the user of a product and the background against which they are presented. The colour requirements for materials that provide high visibility under daylight conditions is also maintained – fluorescent yellow, orange-red or red materials continue to be used. The design requirements set out in the standard EN ISO 20471 maintains a three-class system for garments, which is based on minimum areas of visible high-visibility materials present in a garment, whereby Class 3 garments provide the highest level of conspicuity. The standard also permits this performance class to be met by specifying a single garment or an ensemble – for instance, a classified jacket and a classified pair of trousers. Where an ensemble is specified, this will be deemed to meet the requirements of the standard only when the supplier provides clear instructions on how the classification has been achieved. A Class 3 garment is required to cover the torso and have sleeves with reflective bands or/and trouser legs with reflective bands. The standard specifies references to EN ISO standards, and also incorporates the classification of materials in terms of their physical performance. Some requirements have been amended, and the impact of these changes will have to be assessed when products are intended to be placed into a market. In the instance of goods for the European market, this will be during an EC type-examination assessment. The EN ISO standard, in setting a requirement for water vapour resistance testing, also requires that, where required, some materials are subjected to thermal resistance measurements. Unlike some present standards, which specify the use of low-light or night-time high-visibility retro-reflective materials with different performance levels, EN ISO 20471 has a single pass/fail requirement. 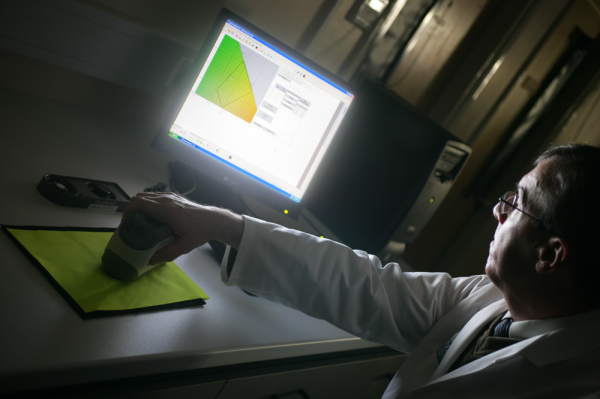 In assessing the retro-reflective performance of materials, the method requires materials to be assessed on the poorest performing segment of a tape. This is determined by subjective assessment and then, as suggested by the standard, preliminary photometric assessments. The standard also now includes a marking specification stating that if a maximum number of wash cycles for a garment is referenced on labelling or user instructions, this must relate to the high-visibility material with the lowest level of cleaning performance. In other standards, this requirement has been applied only to high-visibility tape washability. In the EN ISO 20471 standard, the maximum number of washes suited to the background material is also assessed. Suitability is defined by the ability of a material to retain chromaticity and luminance values after washing that would meet the requirements specified for a new material. In common with most high-visibility standards, EN ISO 20471 maintains a requirement for manufacturers to ensure that claims made for a product can be justified. The standard maintains an emphasis on appropriate cleaning tests to be applied to the constructional materials of a garment. The standard also incorporates an informative set of guidelines for the design of high-visibility garments. Please email ppe@satra.com for more information on SATRA’s high-visibility testing and certification services.